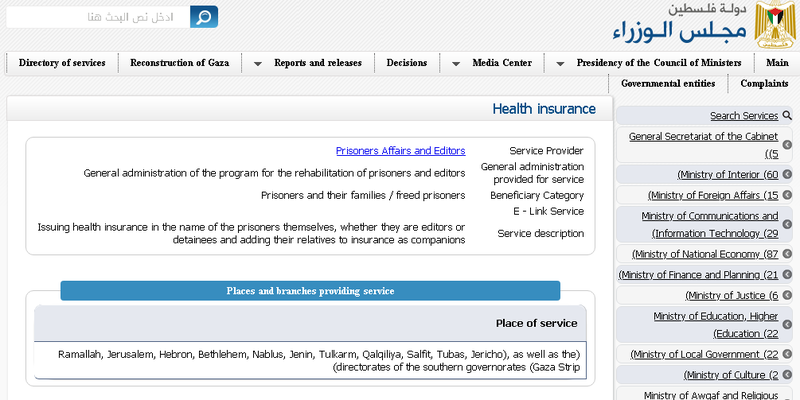 This page at the Palestine Cabinet website shows that anyone who spent more than a year in Israeli prisons is entitled to free health insurance. They still have to fill out paperwork - proof that they were in prison more than a year, proof that they are no longer in prison. 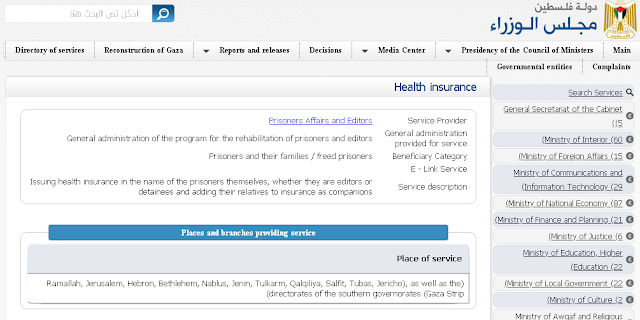 Regular Palestinians have to pay a monthly fee for health insurance. Even the unemployed have to pay a token fee. From what I can tell, former prisoners who have been held in Israeli prisons for terror activities are the only ones who get free health insurance. The support that the Palestinian Authority gives to terrorists goes beyond salaries.